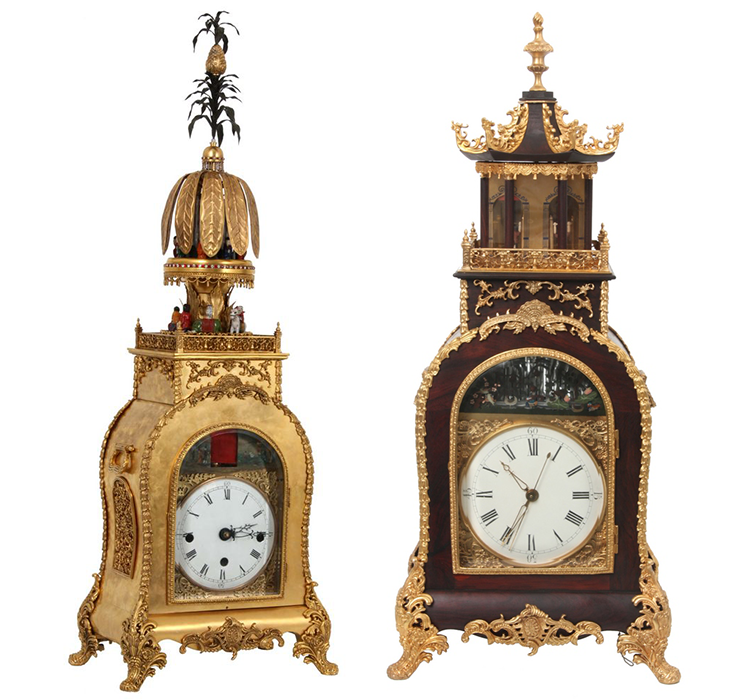 Two rare Chinese animated bracket clocks are estimated to fetch between $50 000-$100 000 each at Pittsfield's Fontaine's. The triple fusee clock, housed in a carved teak wood bracket case, is in beautiful condition, with the original finish. It has a series of rods that rotate, emulating falling rain, while a row of ducks swim right to left in the front. All the while, a pair of carved wood Chinese acrobat figures on a platform appear from behind one door and disappear behind another door, as they dance and flip. Fontaine's sale will take place on February 27, 2016. Check out Fontaine's on Barnebys here.